Still the New Year was posted on February 2nd, 2014 and is filed under Healthy Living. This entry has 2 comments. You can follow any responses through the RSS 2.0 Comment Feed. bulge is one of the most common promises we make ourselves, and from gym memberships to buying the latest sports equipment, we really do try hard…for a while. I work at a gym, and it’s loaded in January. However, much of the hard work that is put into the gym after New Year is wasted with lacklustre workouts and fewer trips to the gym, and soon enough, there aren’t as many people as before. They run out of motivation. If you really want a help your body to be fitter/healthier for this New Year, then here’s some tips to push through that burn, and achieve the goals you want! There’s a reason why determination is at the top of this list, and that’s because it is the most important factor in getting healthier! Without determination and a goal to work towards, you’re going to be training blind – it’s that simple. Unless you start to see noticeable improvements in your shape or fitness, your will is needed to ensure you stay on track. Be realistic with your goals, as well as what you want from your workouts. There’s no point in exercising yourself to exhaustion, only to go home and eat foods that will give you your energy back. The best exercise plans are balanced and moderated, focusing on the amount of calories you bring into your body, the types of foods you’re eating and the amount of calories you’re burning. Losing weight is a science, and as long as you’ve got that solid determination to keep on going, the rest will fall into place. 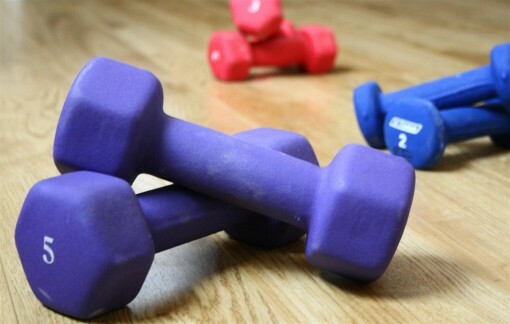 Make Your Exercise Enjoyable hit the gym every day, or at least go for a run can sometimes get a little old. 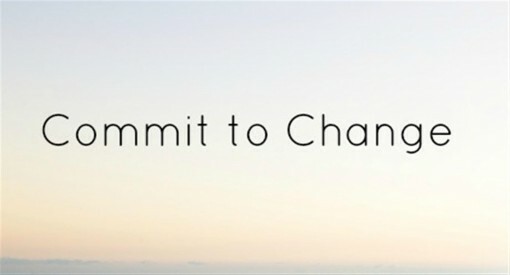 I change up my workouts every week (I hate same old, same old), but I’ve to a committed plan of action, so I keep at it. However, because I make it fun, I stick to the gym at least 3 days in a week. There’s nothing worse than staring at the same treadmill, day in and day out. Mix up your workouts with props to help you get through the burn. For example, bringing an iPad to the gym and watching your favourite television show, while running at a high intensity, will get you through your workout in no time. This is what I often do when I’m doing my cardio. Dr. Who for the win! If you want to get out of the gym all together, then try runs at sunrise (or in the evening!). Sometimes good supplements can also help you get that extra edge for your goals. My partner for this post says for best results in the gym or outside, get into shape with LA Muscle. 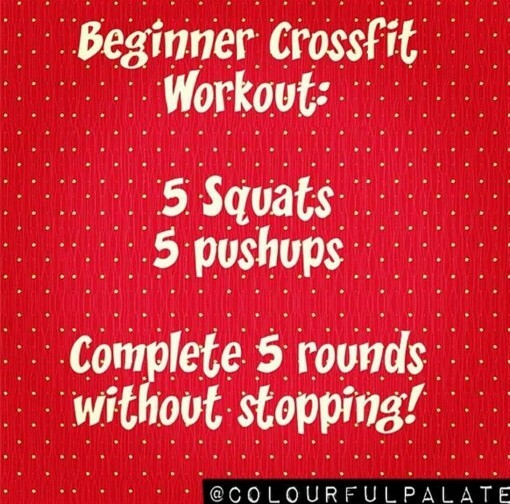 Maybe instead of getting bored with cardio, try switching things up with this Beginner’s Crossfit Workout – I did this the other day and loved it! There are many side effects to pushing yourself too hard in the gym, and it will only push back your goals, and ultimately your success. The top bodybuilders and athletes have training regimes specific to their needs, so don’t think that copying their routine will do you any good; in most cases, it can be too much to handle. Losing weight, eating healthier, and getting fit is a marathon, not a sprint, so if you’re eating well, watching your food intake and visiting the gym on a weekly basis, then there is really no need to rush – the results will come. Pushing yourself too hard, whether its weights or cardiovascular activity could result in injury, and then you won’t be able to train at all. Disclaimer: Thank you to LA Muscle for partnering with this post! Occasionally I do guest posts to keep me from living in a homeless shelter and eating just rice. Because I don’t really like rice. Or beans. great post! i think itz so important to find something you love – whatever that may be! there are SO many ways to stay active!! and I LOVE the beginner crossfit. so important to start slowly and BUILD.